Maffei grew up in the district’s epicenter, Syracuse, in the city’s Westcott neighborhood. He spent his early adult life as a local TV reporter and then congressional staff member for two U.S. senators and a representative. He would make the switch from staffer to politician when he decided to run against longtime Republican Rep. Jim Walsh in 2006. It started with a lunch meeting with a childhood friend. "And he actually said to me, Jim Walsh isn’t doing a good job representing our home district; someone should go and run against him," said Bruce Andrews, who grew up with Maffei on Allen Street. "And he said, ‘one of us should do it.’ And I said, ‘Dan, I think you should do it.’"
Maffei recalled his motivations for running the first time a few years later in an interview with WRVO’s "Campbell Conversations." "I just really felt that we needed a change and that President Bush’s policies had taken us down the wrong road and Congressman Walsh, for whatever political or personal reasons, felt he had to continue supporting them," he said. Maffei fell 3,000 votes short of upsetting Walsh, but it left Maffei poised for another run two years later. When Walsh retired, Maffei mounted a second campaign. He won, beating Onondaga County Legislator Dale Sweetland, thanks in part to strong Democratic voter turnout in support of Barack Obama’s first presidential run. But Maffei would only serve one term. He lost by 648 votes to conservative Republican Ann Marie Buerkle in a very close race that drew last-minute national attention. Maffei went into hibernation after that. Four months after Election Day, he gave his first interview to WRVO. "I know I was a very good congressman," Maffei said. "Perhaps a really good congressman, given the seniority, but maybe I am too cerebral to be a candidate." He wouldn’t commit to another run for Congress just yet. "I took the loss very hard, maybe too hard." "You know, I took the loss very hard, maybe too hard," said Maffei. "Maybe people who take it to heart too much shouldn’t be in this game." Maffei spent the two years in between his congressional terms working for a Washington think tank, Third Way, and teaching at the SUNY College of Environmental Science and Forestry in Syracuse. He ultimately decided to try and win his seat back. "He chose to do it because I think he felt he would be letting down his supporters. There was clearly no one else who would be as good as him or be a challenge to the opponent," said Rhea Jezer, a former Onondaga County Democratic Party official who ran for Congress unsuccessfully twice in the 90’s. Maffei squared off again with Buerkle. It became one of the most expensive and contentious races the region has ever seen. In 2012, with President Obama up for re-election, Maffei was able to reclaim his spot in the House of Representatives. Needing Obama on the ballot has showed Maffei’s inability to rally Democratic voters in central New York. He’s been criticized again this year for running a negative campaign against a new Republican challenger, former federal prosecutor John Katko. Vice President Joe Biden and former President Bill Clinton have both stumped for Maffei in the campaign’s final days. Obama won’t be on the ballot Tuesday, so voter turnout will be up to Maffei. In interviews with WRVO, fellow elected Democrats, supporters and party strategists describe Maffei as a policy and issues-driven lawmaker, more than a back-slapping politician. That has at times caused Maffei to come off as more nerdy than cordial or personable. "I would go along with Dan coming across a little nerdy at times, but I don’t think he’s aloof. Especially when you meet him, he’s very warm and listens to people," countered Democratic state Assemblyman Bill Magnarelli. "He's very warm and listens to people." Maffei, for his part, admits a nerdy side. Supporters describe Maffei as someone who works hard and is an advocate for central New Yorkers, but not always influential. Maffei’s in-and-out of office streak, said Dr. Dennis Nave, president of the Greater Syracuse Labor Council, has left him weaker than his predecessor. "I think having been an incumbent and lost an election, in all honesty, I think it definitely hurt his influence and he probably didn’t get the seniority in Congress we would of hoped for," Nave said. Several other central New York Democrats, both in office and recently out, were reluctant to discuss Maffei’s time as a congressman and his campaign with WRVO. Others declined interviews outright, or didn’t respond to requests. Among those declining an interview was Syracuse Mayor Stephanie Miner, a prominent Democrat. She’s previously been critical of the tone the campaign has taken this year. Onondaga County Executive Joanie Mahoney, a Republican who rebelled against her own party to twice endorse Democratic Gov. Andrew Cuomo, is backing Katko in this race. She says she’s not negative Maffei and has been able to work well with him. "He has lost campaigns and come back, so I think he understands probably better than most the difference between the politics and then actually doing the job," she said in an interview. Late in his first term as a congressman, Maffei told "Campbell Conversations" being elected is one of his most surprising achievements. "The son of a couple of social workers, of divorced parents, from Syracuse, who went to Nottingham High School and now I’m a member of Congress," he said, "I still pinch myself." Tomorrow, we will profile Republican challenger John Katko. A week busy with debates for the 24th Congressional District candidates continued last night with their first live televised debate. The Democratic incumbent and Republican challenger fielded questions on infrastructure, and cuts to carbon emissions, taxes and the Affordable Care Act. 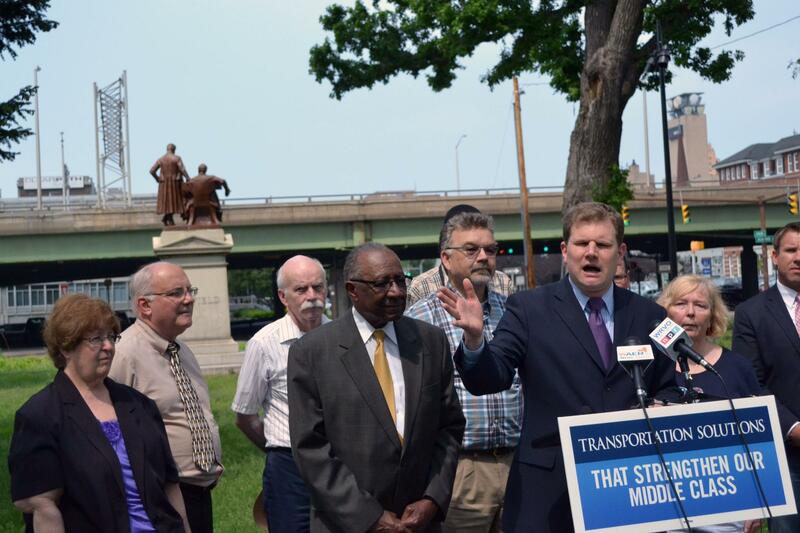 In the Syracuse Media Group/WCNY debate aired live, neither Rep. Dan Maffei nor Republican challenger John Katko supported raising the gas tax, which the federal government uses to fund bridge and road repair. 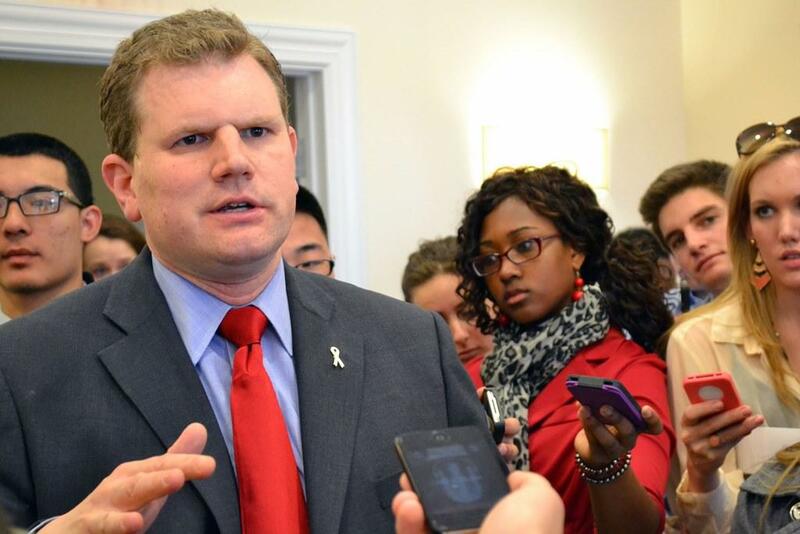 Rep. Dan Maffei (D-Syracuse) is courting senior voters as Election Day approaches. He stood with some local seniors in Syracuse, promising to protect Social Security. He admits there are some changes that could be made to the federal program. With only a week left until Election Day, the Republicans running in two of upstate New York's historically more contested districts lead their Democratic opponents, according to newly released polls. The 24th Congressional District showed the most dramatic shift in favor of the Republican. A Syracuse.com/Post-Standard/Siena College poll released early Tuesday, shows Republican John Katko with a ten point lead over Democratic incumbent Rep. Dan Maffei. Katko was down eight points when the last poll came out Sept. 21.